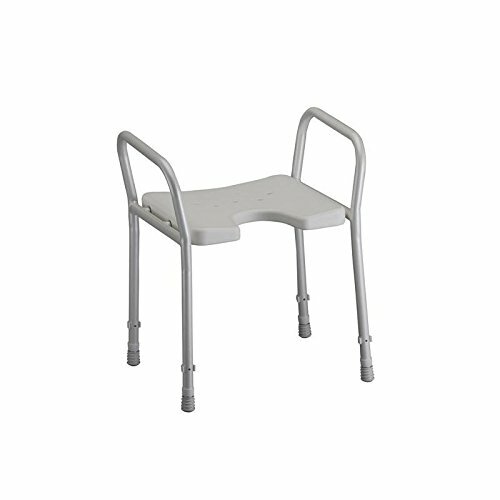 9402 Features: -Shower Chair with Arms.-Width between arms: 18.5''.-Weight capacity: 250 lbs..-Seat height adjustment: 19''- 22''. Dimensions: -Seat dimensions: 16'' W x 16'' D.-Overall width: 21''. Be proactive. Over 60% of falls occur at the home, with the majority occurring in the bathroom.